Listening to The Duke Spirit for the first time I defy anyone not to be instantly won over by Liela Moss’s soaring yet husky vocals – it is no wonder that this singularly English sound is a fashion favourite. Indeed, in 2009 the band’s 10-track compilation CD was sold alongside a McQ by Alexander McQueen collection, of which one of the shirts featured the face of the rather Nico-esque Liela. Their sound incorporates elements of blues-rock, post-punk and the early grunge bands of the late 80’s and early 90’s such as The Pixies. The Duke Spirit was formed in London in 2003 when Luke Ford and Moss met at art college. The line-up now consists of Liela Moss – vocals, harmonica, piano, auxiliary percussion, Luke Ford – guitar, backing vocals, Farfisa, piano, Autoharp, Toby Butler – guitar, bass guitar, backing vocals, organs, piano, Olly ‘The Kid’ Betts – drums, glockenspiel, percussion, piano, backing vocals and Marc Sallis – bass guitar. The band’s third album, Bruiser was released in September 2011. 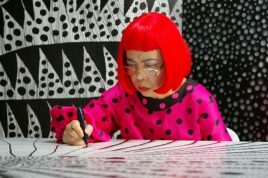 The album was preceded by the Kusama EP in early 2011, named in tribute to the Japanese artist Yayoi Kusama whose work had become an inspiration to the band during the writing of Bruiser. upcoming UK and European tour, the track listing goes like this. Procession, remixed by the legendary Gary Numan. Cherry Tree, remixed by SONOIO aka Alessandro Cortini – renowned keyboard player with Nine Inch Nails. Bodies, remixed by Black Onassis, the Brooklyn based Electronica/Rock’n’Roll band formed by former Kasabian guitarist, songwriter Chris Karloff and ex Boggs drummer Brad Conroy. 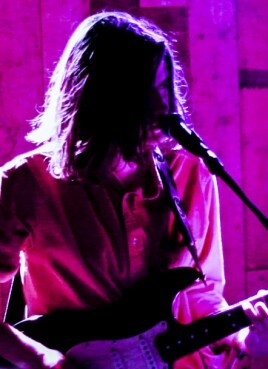 collusion of Archie Bronson Outfit’s ARP and Capitol K.